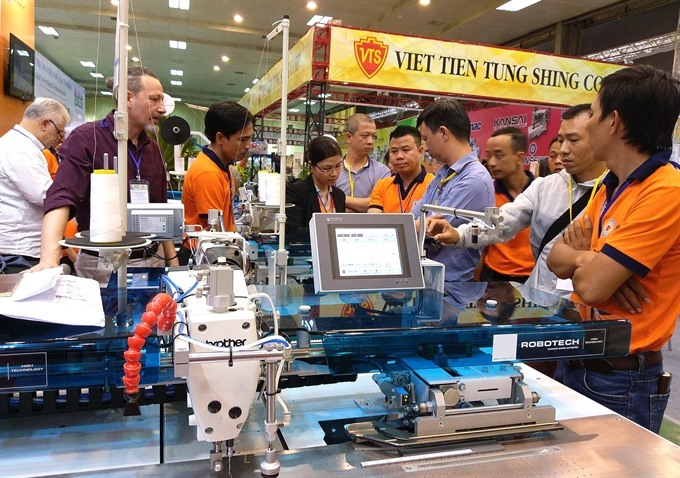 Hanoi Textile & Garment Industry Expo (HanoiTex) 2018 raised the curtains in the national capital of Vietnam on September 19, 2018. At the garment fair, which is being co-arranged by Hong Kong’s CP Exhibition Company and textile company Vietnam National Textile and Garment Group (Vinatex), more than 115 players from around 12 countries like China, Japan, Republic of Korea, Pakistan, Germany, Taiwan, Thailand and others are exhibiting their latest and innovative products. Spread over 6,000 sq. mt. of area, the 3-day 2018 edition of Hanoi Textile & Garment Industry Expo has patterned, dyed, high-tech and micro-fibre fabrics, textile and garment machinery and components, dyeing equipment and chemicals, etc. on display. Brother International (Vietnam) Co. Ltd., A Nguyen Trading Co. Ltd., Li Yaun Textile, Shangdong Daiyin Textile & Garment Group, TAI County Chemical Co. Ltd., X-Rite Asia Pacific (USA) and SALVADÈ S.r.l. (Italy) are some of the companies that are exhibiting at the fair. The agenda is to help Vietnamese textile and garment companies shift production from cut-make-trim (CMT) to free on board (FOB), original design manufacture (ODM) and original brand manufacture (OBM) via modernizing; increased technical training; marketing; and automation. This is where HanoiTex 2018 will support companies to explore new innovations. 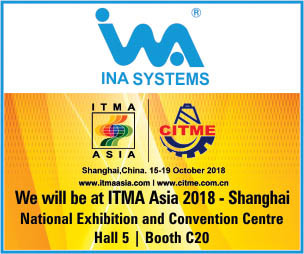 Apart from serving as the platform to explore, grab investments, meet global buyers, expand network, seminars on Building Fiber – Textile – Weaving Connectivity Chain and Improving Workforce Quality to stay competitive in Industry 4.0 revolution taking place in the industry, will also be held during the 3-day course.